Throughout 2017, the leading cause of healthcare data breaches has been insiders; however, in July hacking incidents dominated the breach reports. Almost half of the breaches (17 incidents) reported in July for which the cause of the breach is known were attributed to hacking, which includes ransomware and malware attacks. Ransomware was involved in 10 of the 17 incidents. The Protenus Breach Barometer report for July shows there were 36 reported breaches – The third lowest monthly total in 2017 and a major reduction from the previous month when 52 data breaches were reported – the worst month of the year to date by some distance. Women’s Health Care Group of PA – impacted 300,000 individuals. While hacking incidents are usually lower than insider breaches, they typically result in the theft or exposure of the most healthcare records. July was no exception. Protenus reports that 21 times more records were exposed/stolen as a result of hacking incidents than breaches involving insiders. Hacking incidents impacted 516,053 of the 575,142 known victims in July. There were 8 confirmed insider breaches (22.2% of the total) which resulted in the theft/exposure of 24,212 records. Three were attributed to errors by insiders with five caused by insider wrongdoing. 8.3% of the breaches were due to loss or theft, with three incidents involving the theft of physical records. 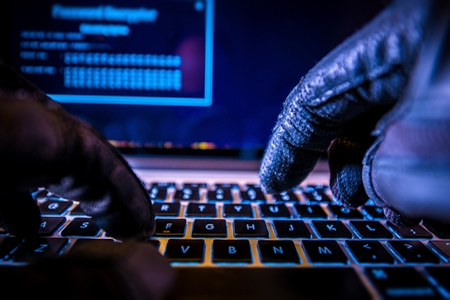 At the end of July, the Department of Health and Human Services’ Office for Civil Rights’ cybersecurity newsletter highlighted the risk from phishing attacks, reminding HIPAA-covered entities of the need to conduct security awareness training. July was a particularly bad month for phishing, with 5 phishing incidents reported. The majority of breaches were experienced by healthcare providers (80.5%) followed by health plans (8.3%) and business associates (5.5%). More business associates may have been involved in the breaches according to Protenus, although insufficient data was available to confirm this. 5.5% of the breaches were attributed to other entities, including one fire dispatch center. Over the past few months, the time taken by covered entities to report data breaches has improved, with June seeing virtually all breaches reported inside the 60-day window stipulated by the HIPAA Breach Notification Rule. However, there was a slight deterioration in July. The average time to report the breaches was 67.5 days, although the median was 60 days. It should be noted that unnecessarily delaying breach reports is a violation of HIPAA Rules. Healthcare organizations should not wait until the 60-day deadline arrives before sending notification letters to patients/plan members and informing OCR. The time taken to discover data breaches is poor in the healthcare industry. In July, the average time to discover a breach was 503 days (median was 79.5 days). The average time was skewed by a single breach that took an astonishing 14 years to discover – a breach involving an insider who had been snooping on patient records. California, Georgia, and Indiana topped the list for the states worst affected by healthcare data breaches with three incidents apiece.